Blurb: Simply enchanting and wonderfully haunting. Review: I feel like this book slipped under the radar. I don't remember hearing anything about it when it first came out. That's too bad, 'cause it's pretty awesome. Shadowcry is a very simple book. It reads like the first 150 and last 50 pages of a much longer book, but that isn't necessarily a bad thing. It just means that there's not a lot of detail, so you feel like you're flying through the story. What a perfect read for a lazy day, or to get you out of a reading slump (as was my case). The story was engaging, though not particularly deep. I didn't feel much connection to the characters, but was easily drawn into the world. It reminded me of a very light version of Sabriel. Burtenshaw is a master of creating the sympathetic villain. She had me perfectly conflicted. I wanted to like this guy, but he was truly evil. It takes quite a wordsmith to make such strong, conflicting feelings in a single character. I also liked that it didn't end in a cliffhanger, but still has me wanting the next book. If you aren't in the mood for a series, you could definitely read this as a stand-alone. All in all I really enjoyed it. 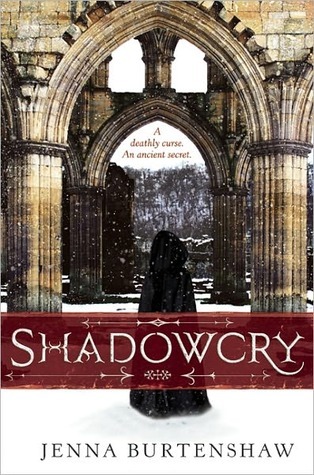 If you're stuck in a slump, or looking for something you can read in a single sitting, I'd recommend Shadowcry in a heartbeat. I have had this one on my shelf for so long and I know it was released in England before it made its way to the US. Now I'm interested in reading the story. Thanks for the great review, I'm glad this book helped you out of a reading slump!